*Disclaimer: Some names have been changed to protect readers' privacy. Hello! I just stumbled across your blog and found myself hooked. I was diagnosed with Adult ADHD earlier this year. I spent a while downplaying it (mainly due to the reactions of people I told, saying it doesn't exist etc.). A few months ago I joined a support group, it was the first time I met people who think like me, and I became so focused on learning everything about what I have. 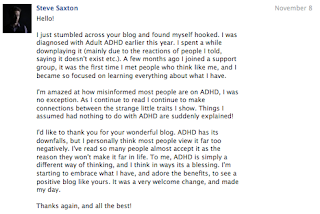 I'm amazed at how misinformed most people are on ADHD, I was no exception. As I continue to read I continue to make connections between the strange little traits I show. Things I assumed had nothing to do with ADHD are suddenly explained! I'd like to thank you for your wonderful blog. ADHD has its downfalls, but I personally think most people view it far too negatively. I've read so many people almost accept it as the reason they won't make it far in life. 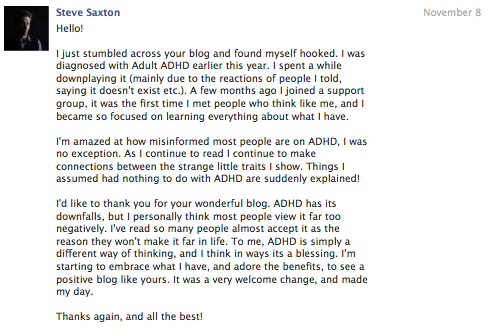 To me, ADHD is simply a different way of thinking, and I think in ways its a blessing. I'm starting to embrace what I have, and adore the benefits, to see a positive blog like yours. It was a very welcome change, and made my day. 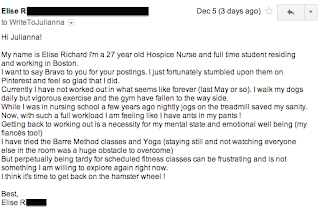 My name is Elise Richard I'm a 27 year old Hospice Nurse and full time student residing and working in Boston. I want to say Bravo to you for your postings. I just fortunately stumbled upon them on Pinterest and feel so glad that I did. Currently I have not worked out in what seems like forever (last May or so). I walk my dogs daily but vigorous exercise and the gym have fallen to the way side. While I was in nursing school a few years ago nightly jogs on the treadmill saved my sanity. Now, with such a full workload I am feeling like I have ants in my pants! But perpetually being tardy for scheduled fitness classes can be frustrating and is not something I am willing to explore again right now. I think it's time to get back on the hamster wheel! I'm a 41yr. old teacher and I have ADD. The first time I learned I had ADD I was in the 6th grade. I was that student who sat in the back never said a word all the teachers loved me. My grades were awful but i kept getting pasted on to the next grade. Once I started on the meds. It was like someone turned on the light. I went from making D's to A's and B's. I had neat handwriting for the first time. Life was better. When I went off to college I thought I didn't need my meds. found out I was VERY wrong. As of today I'm still on my meds. The reason I'm writing is for the students that I have and will have that have ADHD. You don't teach for almost 20 yrs and not recognize ADHD in a child. It took my parents and teachers until I was thirteen to get me help. I've been playing catch up all my life. So what I'm trying to get to is when I see a child struggling I want that child to get help that he/she needs. I'm a parent too, so i understand parents want their child to be "normal". I do get upset when the parents are thinking about their own needs first (what will my friends think? etc.) Then they think its the child's diet so, they waste more time getting the child the help and they change the food and after six months no change. I'm not saying diet couldn't be the cause. It has happen once in my almost 20 years of teaching. I also had to tell parents that their child's meds dosage was to high. I just want the student to get the help he/she needs. 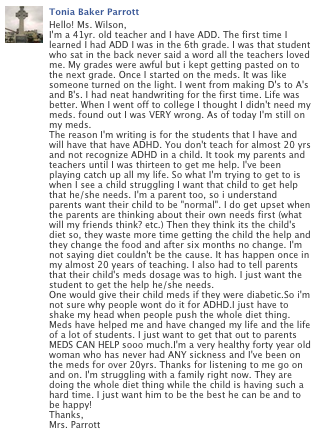 One would give their child meds if they were diabetic.So i'm not sure why people wont do it for ADHD.I just have to shake my head when people push the whole diet thing. 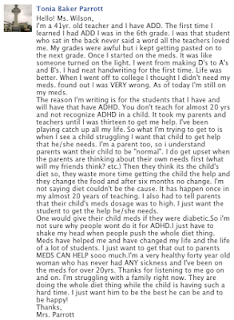 Meds have helped me and have changed my life and the life of a lot of students. I just want to get that out to parents MEDS CAN HELP sooo much.I'm a very healthy forty year old woman who has never had ANY sickness and I've been on the meds for over 20yrs. Thanks for listening to me go on and on. I'm struggling with a family right now. They are doing the whole diet thing while the child is having such a hard time. I just want him to be the best he can be and to be happy! Mrs. Parrott, April 14, 2013. I wanted to let you know how your blog has touched me. I've been running therapy sessions with children at an outpatient mental health clinic. I'm seeing a seven year-old girl with severe Attention Deficit Disorder; she can barely have a conversation because her thoughts are so scattered. I wanted you to know that your amazing perspective has truly helped me to help her. Her family has become critical of her condition and my client has become extremely depressed about it. Her self-esteem is almost non-existent and it's very hard to see. Anyway, during one of our recent sessions I reconstructed ADD as a superpower of sorts. Thanks to you, I was able to remind my client and her mother that there were some pretty amazing benefits to having a brain with "special powers." 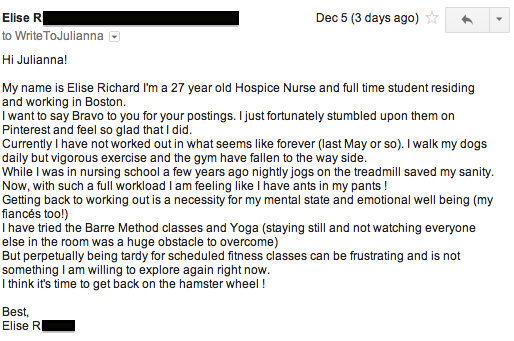 I think it really hit home and I just wanted to thank you for that....you are an inspiration." 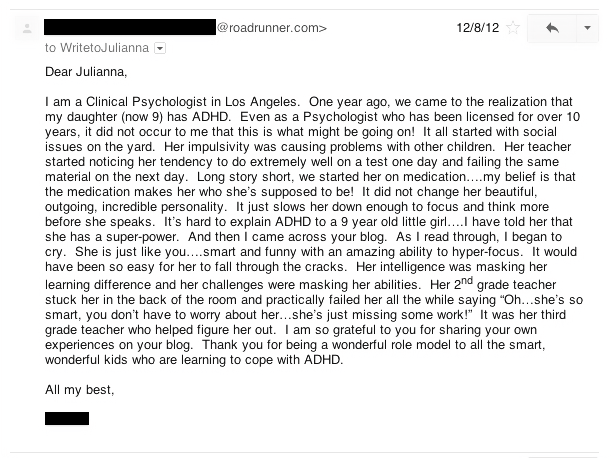 Loved your recent blog post re: nurturing ADHD kids. It sounds like our childhoods evolved on similar arcs; I was diagnosed with ADHD and had a difficult time. Being the firstborn, I don't think my parents were quite prepared to deal with such a menace, and I think we all spent many years trying to figure out how to coexist. My parents displayed a heroic sense of patience and attempts at understanding "how I was" growing up. I spent many long days and sleepless nights frustrated that no one "got me", and took countless trips over their knees before it took them 15 years to figure out that this wasn't a problem they could spank out of me. Today, I struggle with those emotions, but we've all made a lot of progress. I love your blog and it's nice to see someone who "gets it"!" "I love this. I have ADD (just diagnosed at 41!) and my son has ADHD and I like to think of our ADD in positives rather than negatives. Super powers-that's great! I am going to print this out to share at my sons next IEP meeting if you don't mind." Lori, 41-year-old ADHD'r and mother to a son with ADHD. "I just want to say, as a 23 yo female in the process of getting the diagnosis, that your blog really is amazing and it's helping me cope with all the questions that are buzzing around in my brain. I can see myself in most everything you write and your wiews on adhd is very much similar to how I percieve it. It's just so wonderful to find out that there are people with the same brain structure out there, as I know of none...Today I'm studying architecture, and I'm doing quite well, convertin the hyperfocus that I have in drawing into creating real worlds for real people . The chaos is still there though, and that's why I'm getting help.i just hope I can keep my creativity as it is essential to my future." "I like where you're going with this Ms. Wilson...I'd encourage everyone to write in to Julie and share your experiences with her! Not only will she share a laugh with you, but she'll also give you some great advice if you're looking for it.I see some non-fiction in your future at this rate! Great work on the blog!"